Ruckus is proud to announce that the American Business Awards have labeled it 2018 Company of the Year among small advertising, marketing & PR firms nationwide. 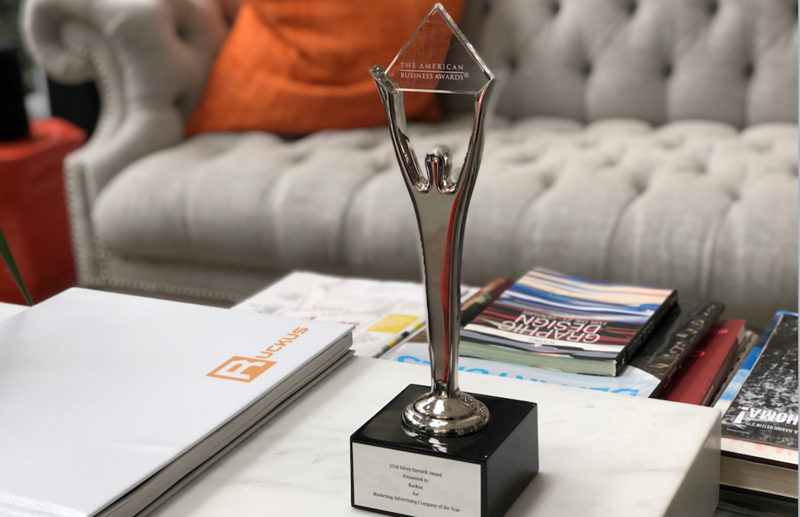 This recognition – awarded to Ruckus along with five other firms – recognizes our success throughout 2018 on behalf of our clients as well as our own internal growth. In Ruckus’ decade-plus history, we’ve had many years of which we’re proud, but perhaps none more than 2018. The growth we achieved first and foremost for our clients and additionally for ourselves has opened the door to join a larger tier of agency. We look forward to continuing these positive trends through the rest of the year, and to addressing the unique and exciting challenges that will come with growth.